Their program highlighted God’s goodness and faithfulness to Victory Malate through the years. 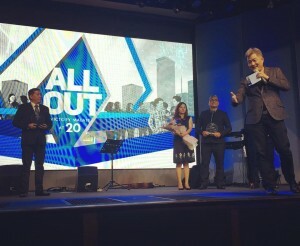 After spoken word performances from guest performers, the music team led the singing of “Pour Us Out.” The night ended with a prayer from Pastor Nixon Ng, a video presentation, and more celebration songs sung heartily by everyone. It was indeed a wonderful time of connecting with one another, and a reigniting of passion for preaching God’s word and making disciples.